New Mexico State Name Origin | What does "New Mexico" mean? 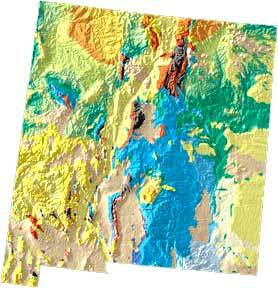 New Mexico geology and topography map: courtesy of USGS: A Tapestry of Time and Terrain. What does "New Mexico" mean? "Mexico" is an Aztec word meaning "place of Mexitli" (an Aztec god). 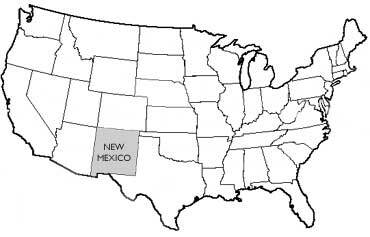 New Mexico became the 47th state on January 6, 1912. The state of New Mexico USA (public domain image). Add Media for Origin of "New Mexico"